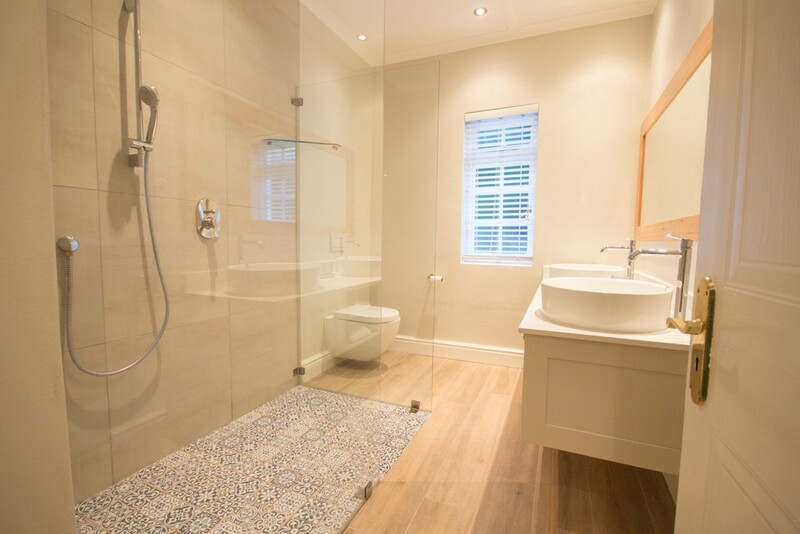 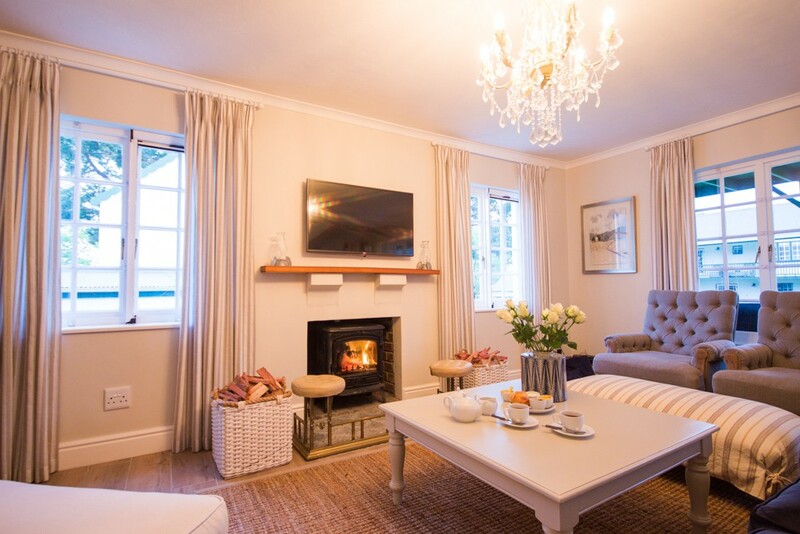 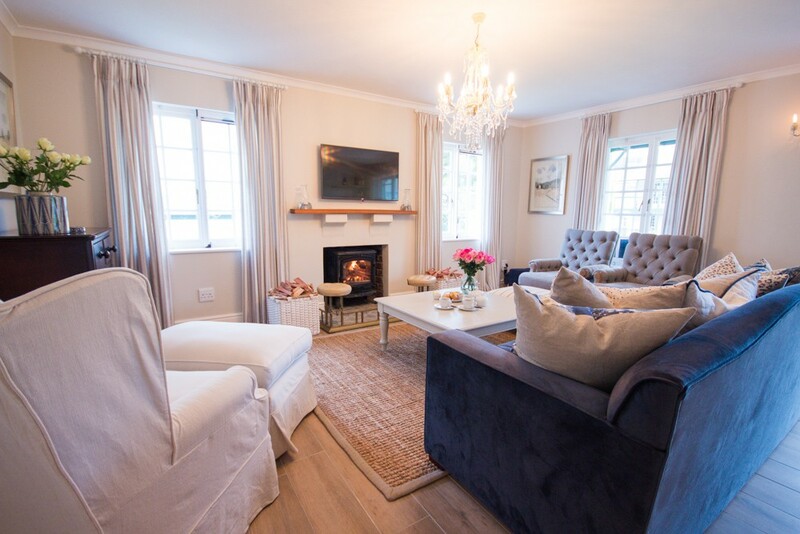 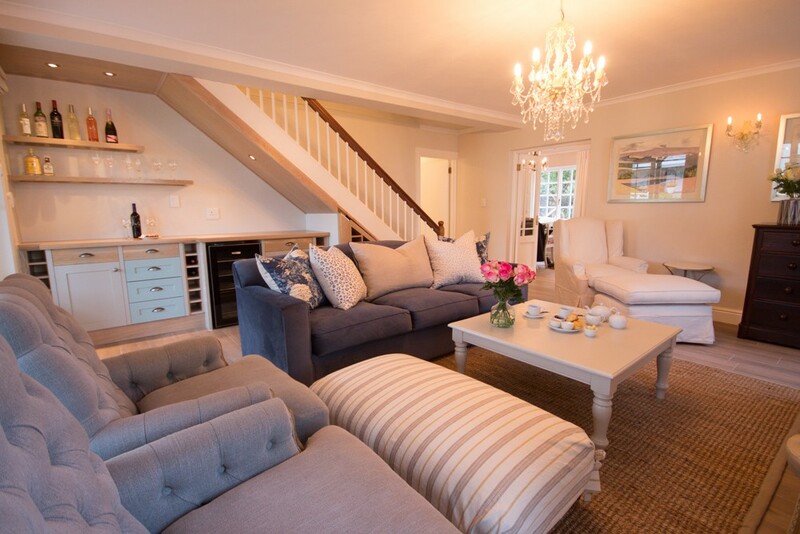 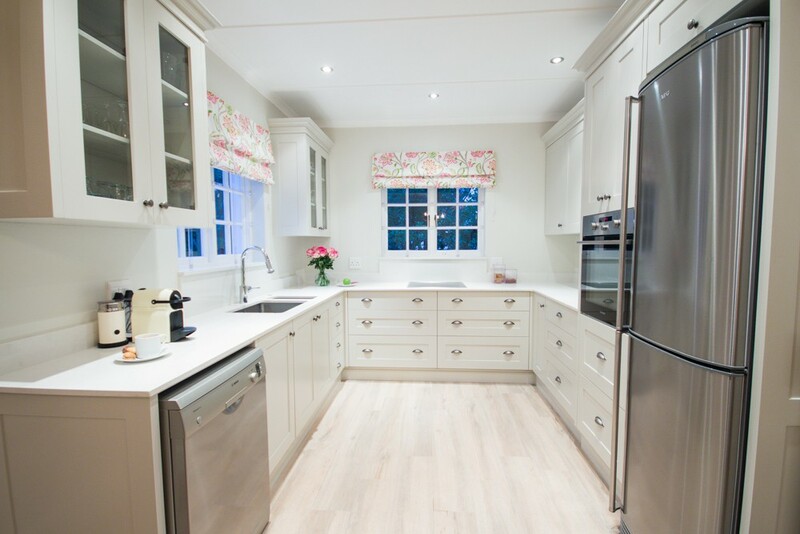 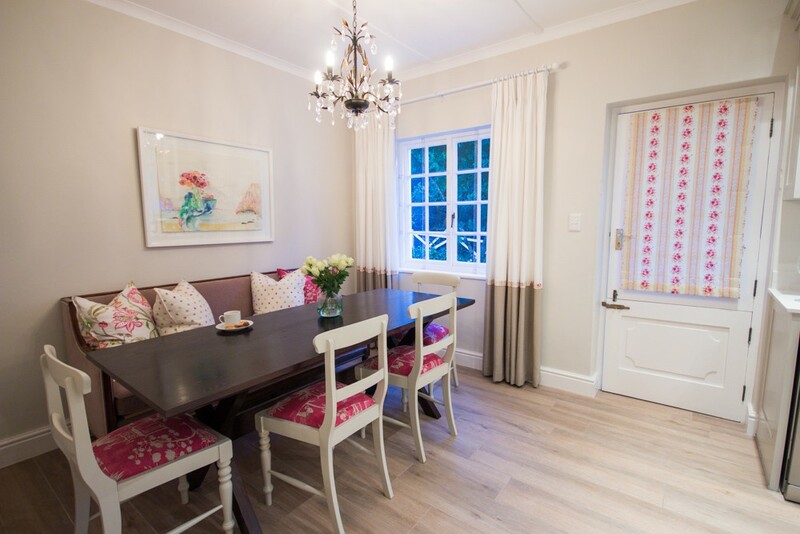 Newly renovated, and exquisitely decorated to the highest standard, “Exquisite Cottage 20”, Belvidere Manor ,offers guests the luxury of sumptuos decor and exceptional comfort ,within the picturesque setting of Belvidere Manor. 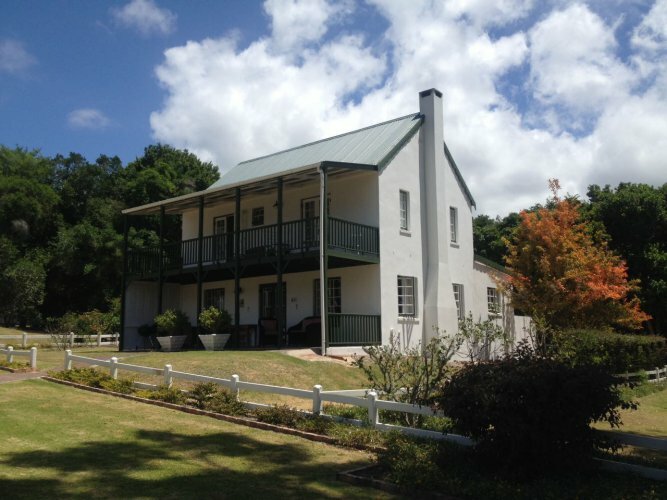 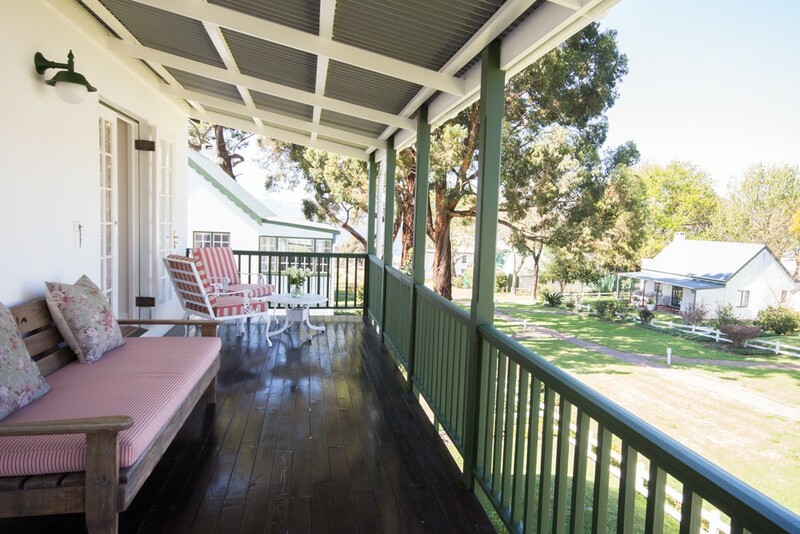 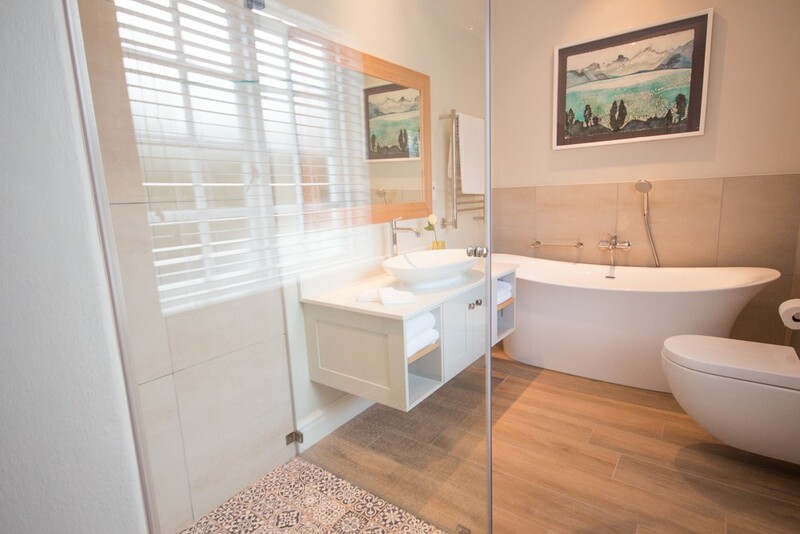 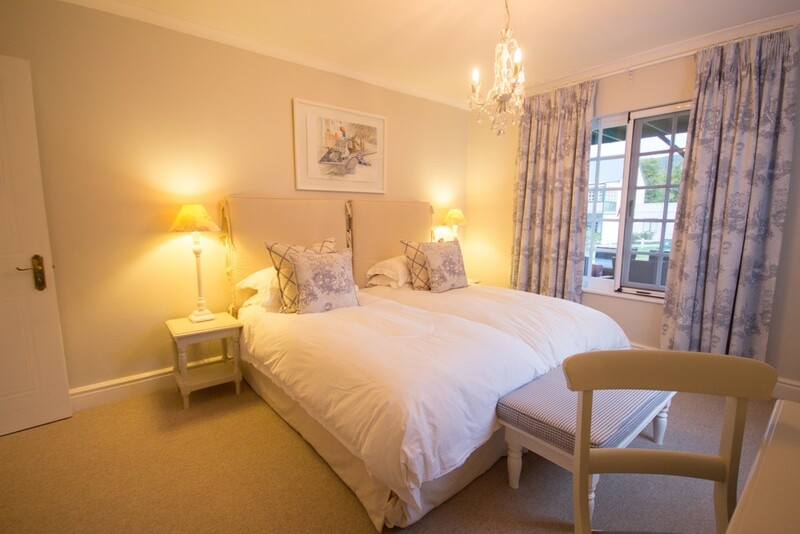 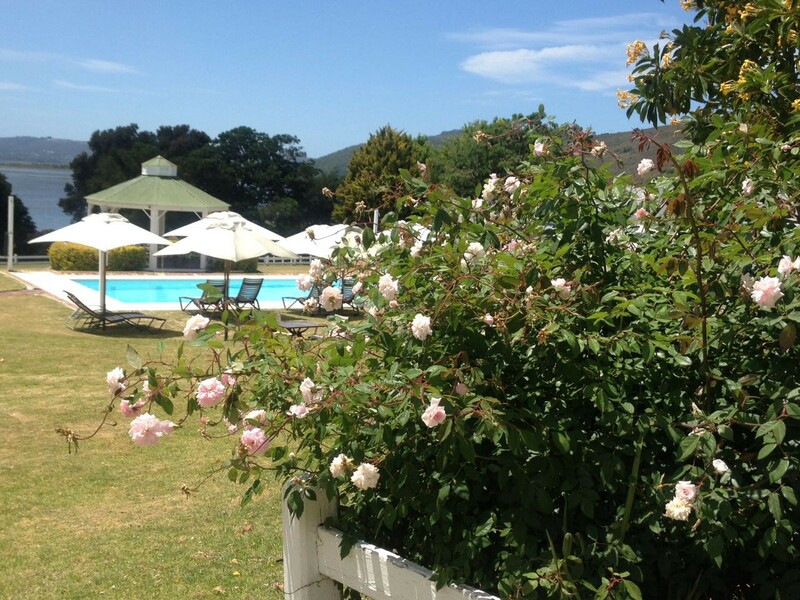 This bedroom is very spacious and has French doors that lead onto a gorgeous balcony ,overlooking the Knysna Lagoon and the beautiful gardens of Belvidere Manor. 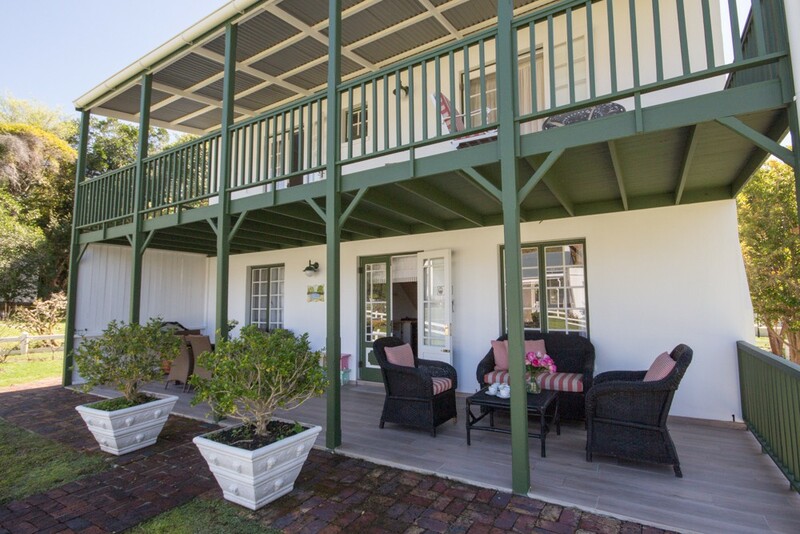 It is not uncommon, to spot the famous Knynsa Loerie ,with its vibrant colours, in full flight from up here, whilst sipping a glass of wine, or relaxing with a book and a cup of tea. 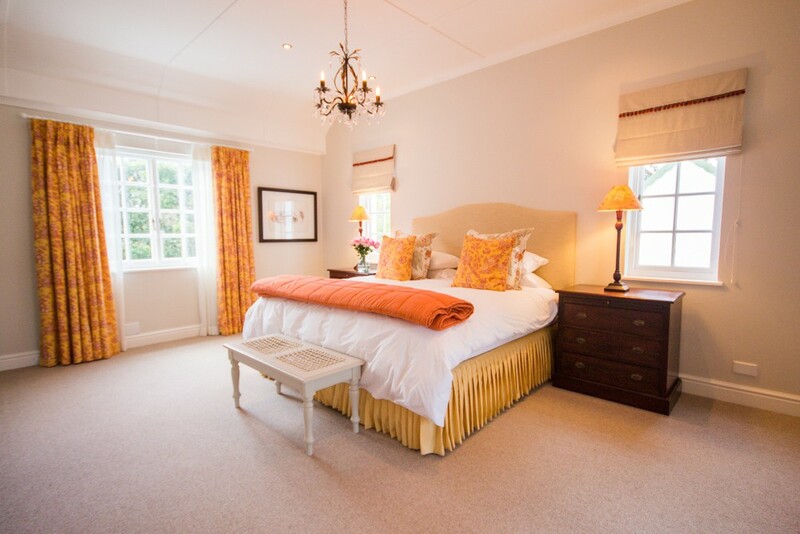 SECOND BEDROOM - Downstairs/2 twin beds - with its own adjacent bathroom with extra large shower. 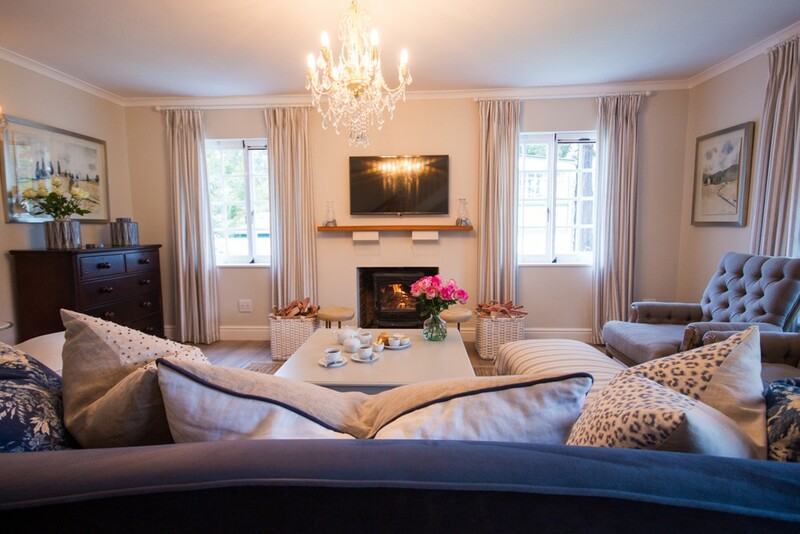 A Beautiful LOUNGE ,furnished with elegance and comfort in mind. 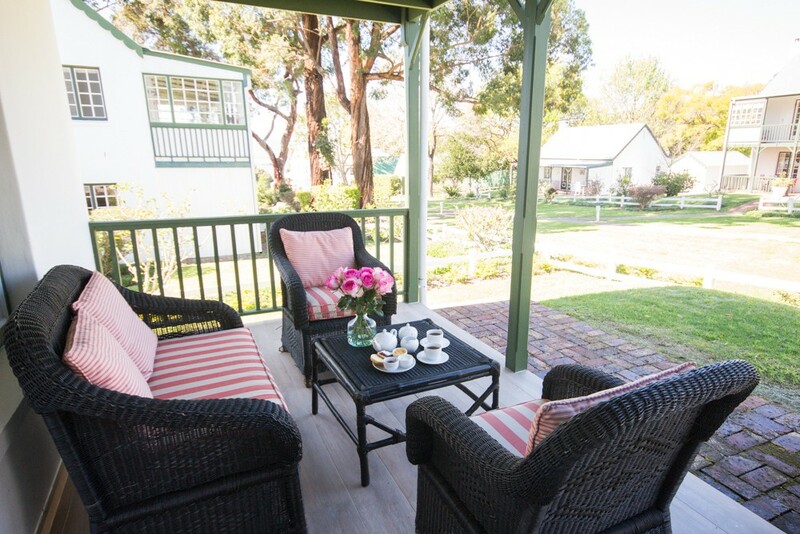 The lounge leads onto a large patio, with comfortable seating, where one can gladly relax for many hours whilst reading a book and soaking up the tranquility the environment has to offer.